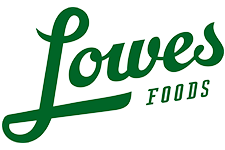 Here are the deals in the Lowes Foods Ad 4/1-4/7. There are two in-ad manufacturer coupons: $2 Smithfield Ham and $3 off Butterball Turkey. Great deals on Smithfield Ham and other meats, Duke’s Mayonnaise, Flatout Bread, and more. Del Monte Gold Pineapple, cut or cored free, $3.50 ea. Extra Large Mangoes, $1.50 ea. Lemons or Limes, 50¢ ea. Buy a Deli Rotisserie Chicken, $6.99 And get a FREE 2L Mountain Dew!